Here it is in the last few hours of May, and I only just realized, thanks to the current issue of StrokeSmart magazine, that May is Stroke Awareness Month. StrokeSmart is from the National Stroke Association, and as a stroke survivor I find it encouraging and informative. - New diagnoses of invasive breast cancer number around 230,000 annually, and there are about 40,000 deaths. - In comparison, nearly 800,000 strokes occur in the U.S. every year (about one every 40 seconds), and stroke kills nearly 130,000 people every year. - Stroke is the fourth leading cause of death in the U.S., behind heart disease, cancers, and respiratory diseases. The numbers for both conditions represent lives of the stricken individuals and their families that are changed forever. The editor made a plea for readers to help increase awareness of stroke, from educating others about the earliest signs of stroke to joining or organizing fundraising events. An elder and a stroke survivor, I also found these statistics, reported here, compelling: Nearly three-quarters of all strokes occur in people over the age of 65. 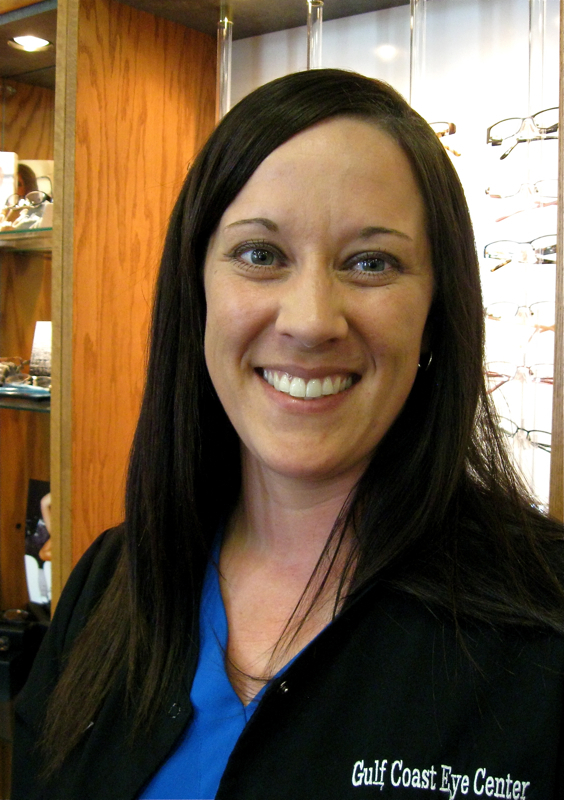 At any age, recognizing that a stroke may be occurring and getting prompt help is critical. The FAST way to check for signs of stroke is an easy way to remember the warning signs and how to check for them. Using the FAST memory aid is also a reminder of the need for speed. Face—Ask the person to smile. Does one side of the person’s face droop? Arms—Ask the person to raise both arms. Does one arm drift downward? Speech—Ask the person to repeat a simple phrase. Is the person’s speech slurred or strange? 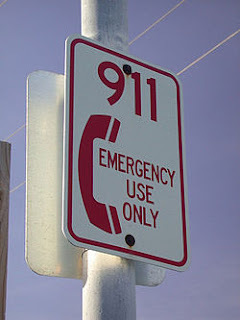 Time—If you observe any of these signs, call 911 immediately. 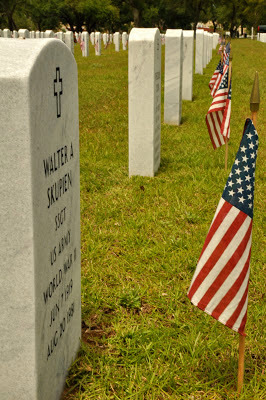 The gravesite of Husband Walter’s father, a World War II veteran. 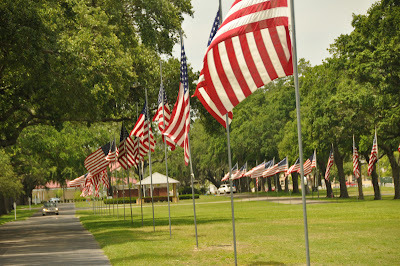 Sunday we accompanied my mother-in-law to the Biloxi National Cemetery, where flags were flying at individual graves and along the roadway to the Veterans Memorial. It was our second visit in less than a week. The previous Wednesday morning we had convened with family for the graveside funeral service for my husband’s uncle, Archie Lee Flowers. 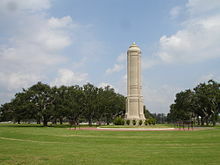 The gazebo in the background was the site of the outdoor service and overlooked the Veterans Memorial at the end of the green expanse, part of the 54-acre national cemetery on the grounds of the Department of Veterans Affairs Medical Center in Biloxi, Mississippi. 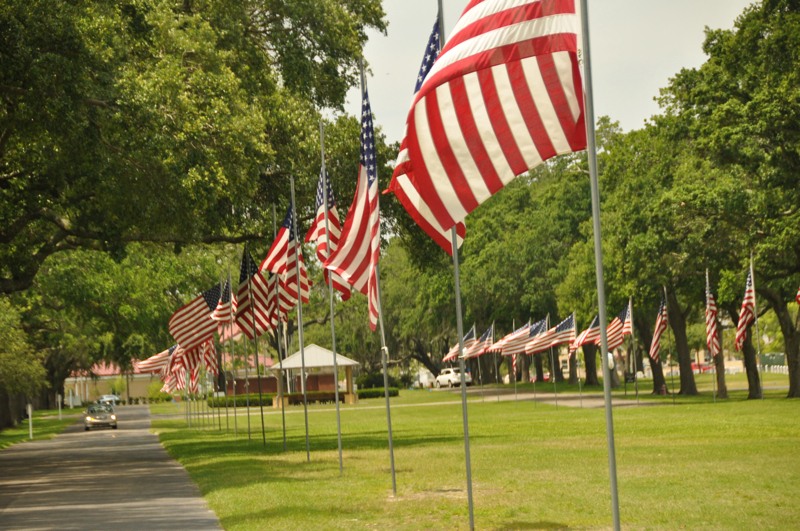 The serenity of the live oaks, the sound of “Taps” followed by the traditional ceremony where two members of the U.S. Navy honor guard folded the flag that draped the casket, the presentation of the flag to the closest relative, the presence of the rows of white headstones, all contributed to making the brief service a moving acknowledgment of the life and death of Uncle Archie Lee. The Sunday visit two days ago was a special remembrance of the service of my husband’s father and his two uncles buried there. My father and all of his and my mother’s brothers were WWII veterans, too, although none are buried in national cemeteries. 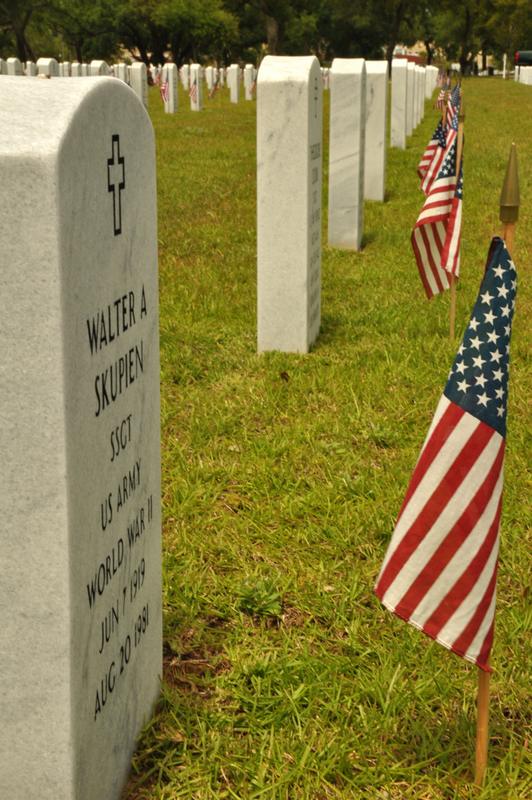 Both visits were filled with memories and thoughts of those who served: our fathers, uncles and cousins, classmates, others who served, those who gave their lives and the families who lost their loved ones. 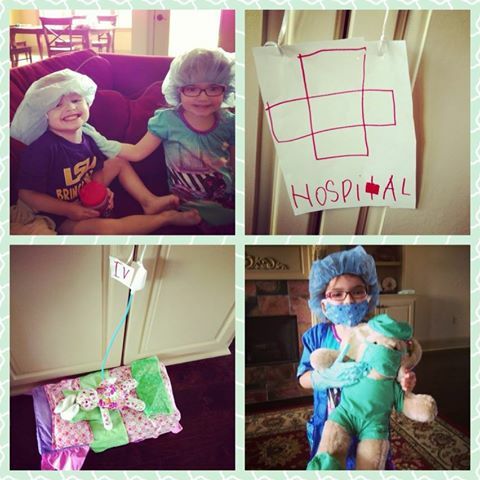 Granddaughter Molly Kate, 5, came through a recent outpatient hernia repair with flying colors and praise from the surgeon and the anesthesiologist for her pre- and post-op behavior. Of course that bit of praise was relayed to me via our son who is definitely a proud—and relieved, papa. The photos above of 3-year-old Walker and big sister Molly Kate are evidence that the hospital experience had an impact on both Louisiana grands. I filched these photos from daughter-in-law Katie’s facebook post Friday. 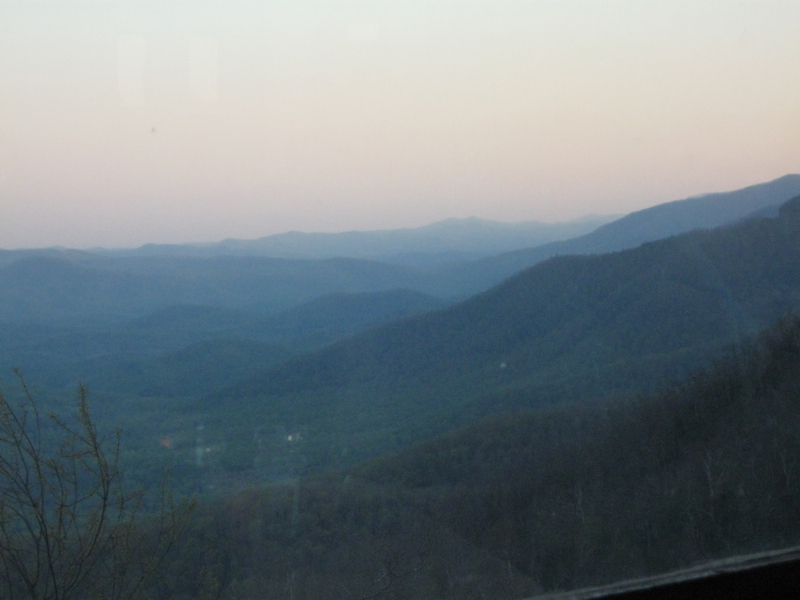 A recent excursion on the Blue Ridge Parkway offered some enjoyable surprises in addition to the great scenery and time with Hubby. Surprise #1 was a stay at the Pisgah Inn located on the “peak of the Parkway,” the 5,000-foot elevation of Mt. Pisgah. Husband Walter had told me that one of our overnight stops would be a surprise. But he gave me no clue until we were in the Inn’s office. Even then I was clueless. I thought we were just looking around after the impromptu dessert stop I chronicled here. 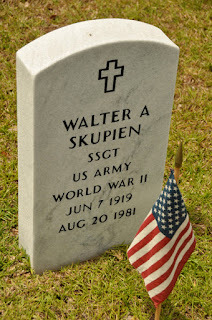 I didn’t catch on until the young woman behind the desk confirmed that Walter Skupien’s room was ready. His surprise was a huge success in the pleasing-wifey department. 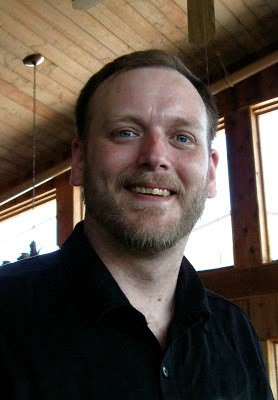 He posted about the Pisgah Inn experience here. Surprise #2 was when we walked into the Inn’s crowded restaurant for dinner later that day and I heard “Linda, Linda.” I turned to find the source, and there was my cousin Lynn who lives close to the Mississippi town of my childhood. She and her husband were on a family trip with their daughter and granddaughter. 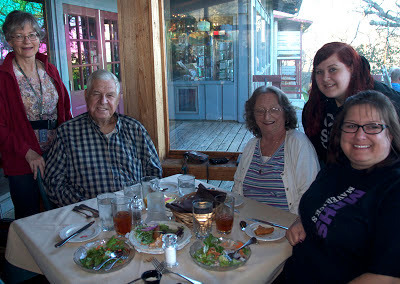 Lynn, center, and from the right, her daughter Michelle, granddaughter Lori, patriarch Albert and me. Digital activity--of the finger variety, not the math kind, gave me exhilarating encouragement in occupational therapy today. Therapist Amy set me to work on an exercise that had me kneeling before a raised exercise mat, leaning my torso forward, bending elbows outward, then pushing back upright by straightening my elbows. The exercise involved left shoulder movement but kept my left hand stationary on the edge of the mat. The encouraging news is that the result was relaxation of tone in my wrist and fingers. The bad news is that it was temporary. As soon as I started using my hand, the tone kicked back in. That is the nature of the beast. But the movement possible during that temporary reduction of tone was exciting and encouraging, so much so that Amy hurried to the waiting room to retrieve my camera from my husband. She documented my wiggling digits. Husband Walter and I are on the road again, in between visits to celebrate special events with relatives in three different states. Yesterday we picnicked on the Blue Ridge Parkway for lunch. A few minutes down the road we found ourselves in the vicinity of Pisgah Inn. We have camped at Mt. Pisgah Campground on the Parkway near the Inn a number of times, and have enjoyed breakfast at the Inn’s restaurant. The view from the restaurant is spectacular. Hubby and I were in complete agreement. We detoured into Pisgah Inn parking lot for a dessert stop. 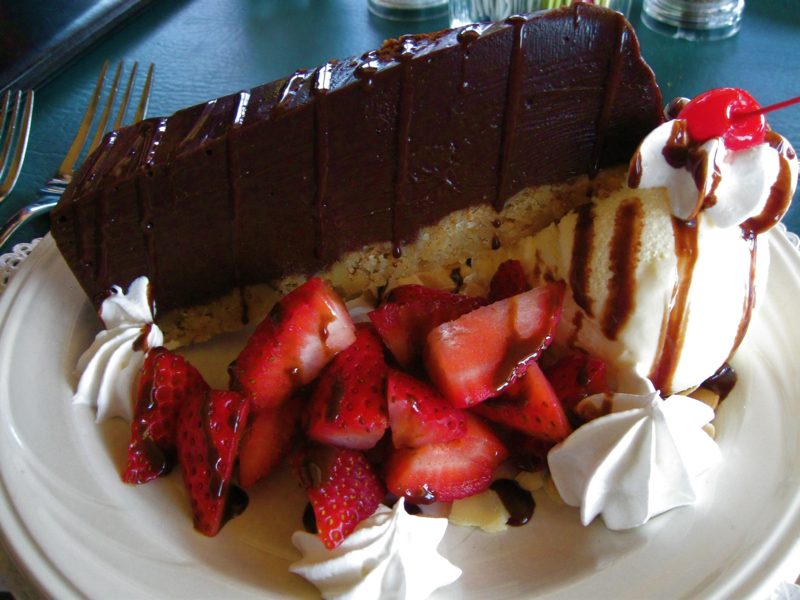 Ben Bates, our waiter and dessert tour guide, didn’t hesitate to recommend his favorite dessert at the restaurant: French Silk Pie. His description sounded like death by chocolate, and I was hooked. I had never had French Silk Pie before. I found the chocolate more like a sinfully rich, thick candy bar than the pudding-like texture I had expected. Walter helped me by sampling a few bites. But I had no trouble devouring the rest of that rich, dense chocolate with a tasty crust, the whole thing presented with fresh strawberries, toasted almonds, ice cream, whipped cream and a cherry on top. 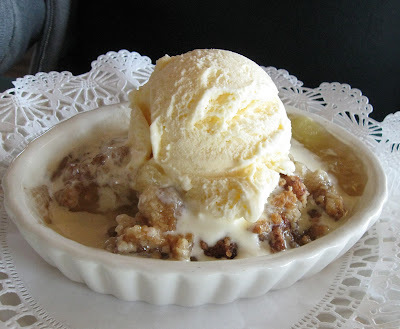 I was even able to add a taste of Hubby’s choice, homemade apple cobbler with ice cream, to my afternoon pig out. Our dessert marathon included a chat with Ben. He said that he is currently working toward his degree in business administration at an educational institution in nearby Asheville, North Carolina. He started his college career in a criminal justice program, graduated and served in the military. After his time in the service, he served a stint as a deputy sheriff. His experiences and the culture convinced him that law enforcement wasn’t his field. He worked for a number of years with a pizza franchise before recently leaving his management position to go back to school. Now he savors living in the vibrant Asheville downtown district while he continues his education and works at the busy restaurant on the Blue Ridge Parkway. His interaction with Hubby and me leaves me certain that his new career path will be a fit for him. Thanks, Ben, for helping make a pleasant day even more enjoyable, and best wishes for the future.